Make a digital ebook in minutes! 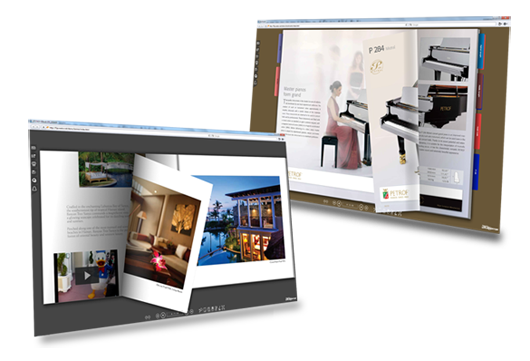 ePageCreator is a ebook making software that helps convert your PDF and image files into beautiful books that you can host on your own website. ePageCreator produces ebooks in both Flash for viewing on PCs and Macs and HTML5 for viewing on mobile devices such as smartphones and tablets. No programming knowledge required to produces these ebooks. ePageCreator also has the option to produce ePub and mobi for your eReaders. ePageCreator is 100% white label, this means you can use your own branding and logo. Getting Started. After downloading, please run the setup to install ePageCreator into your PC or Mac. Run ePageCreator and click New to start your ebook. Click Publish button to publish your flipbook. With the help from some simple code you can easily embed your flipbook on websites and blogs. The following is a sample code we are using to embed the flipbook you see on the right hand side.